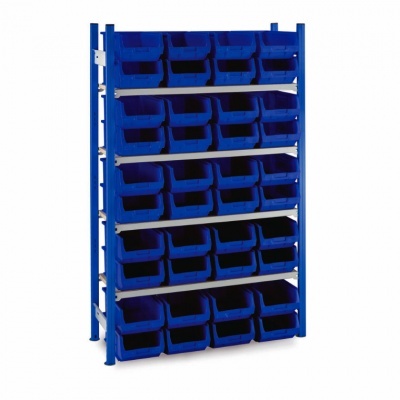 This popular shelving bay is supplied with 40 (TC4) plastic storage containers providing storage and picking for small to medium sized items.The shelving unit is supplied with 4 adjustable shelves and additional shelves are available on request. The table below shows the overall length of shelving runs in mm when using a single starter bay and subsequent add-ons. 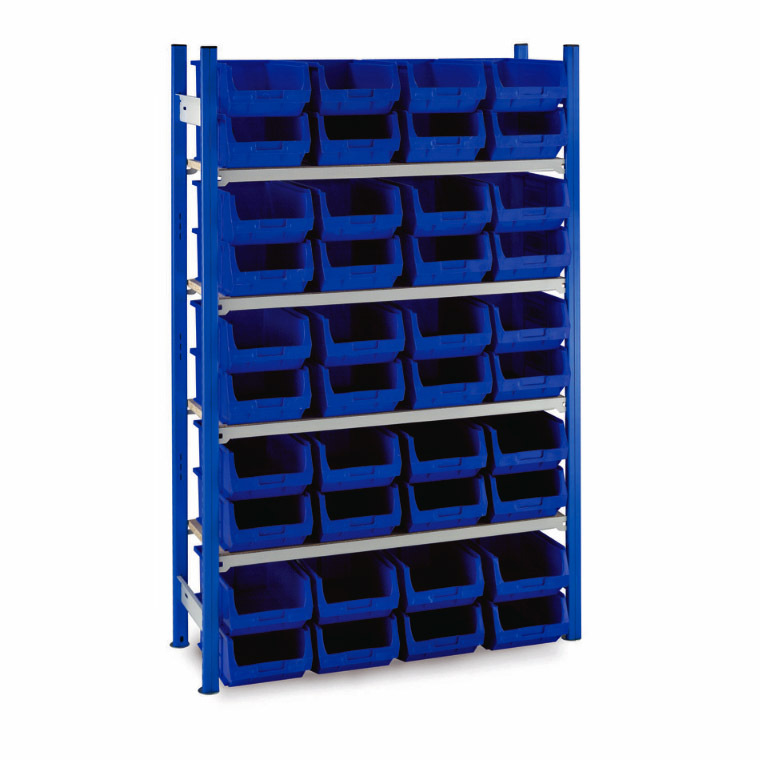 If you are unsure of how many units to buy to fit within a given space please call us on 01993 779494 to discuss your requirements.